DO YOU FIND IT DIFFICULT TO GET SOMEONE TO DO A SMALL JOB? 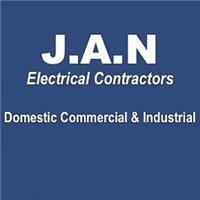 JAN Electrical Contractors, qualified and approved electricians in Nottingham with over 15 years’ trade experience. Certified to NAPIT and Part P accreditation standards, we offer a reliable and competitive service to domestic, commercial customers across Nottinghamshire and the surrounding areas.